The oratory is the seat of a significant parish museum of sacred art, inaugurated in December 2002, made up in large part of works already present in the building in ancient times, recently restored and re-arranged, so as to create a course from the 15th to 19th centuries. Referred to by the name of “spedaluzzo” since 1287, it was a refuge for the poor and for pilgrims, supported by the Bini family, house owners in this area of town and subordinate to the Roman Archhospital of Santo Spirito in Saxia. It continued to be used as a hospital until the end of the 1700’s. Of particular importance inside is the major chapel, made up of a tribune with a central cupola, whose Renaissance style is consistent with the altarpiece of the Bini family, executed by Baccio d’Agnolo probably commissioned by Bernardo di Piero Bini, buried here, as witnessed by the date 1525 inscribed on the tombslab in the center of the chapel. 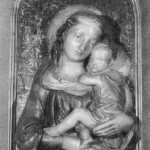 The altarpiece was made in order to welcome the Madonna of Humility (photo 1), stolen during the 1920’s and recovered on the antiques market. Along the left wall of the single nave there is the tabernacle of Saint Sebastian, a peculiar example of a niche deliberately planned in the 1630’s by the painter Giovanni Bilivert, who adapted paintings from the 15th century, to frame the Renaissance terracotta representing the saint (photo. 2). 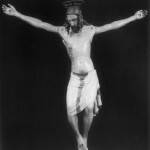 Bilivert’s work is also documented by the picture of the Guardian angel, signed and dated. 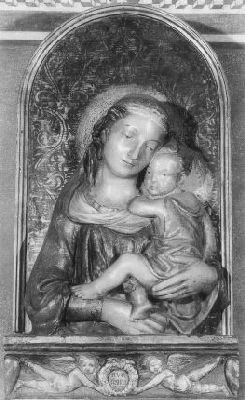 The painted terracotta representing the Madonna with Child is part of the original patrimony, following the iconography of the Mater amabilis; it is a copy of a prototype considered the work of Lorenzo Ghiberti. 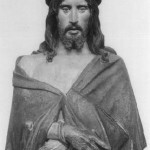 A polychrome wooden crucifix of the circle of Donatello is also displayed in the museum. The museum also contains vestments, altar cloths and holy vessels from both the church of San Felice in Piazza and San Pietro in Gattolino, among which is to be pointed out a silver embossed case for particles to be carried around from the 16th century. These objects qualify the oratory as a museum collection of territorial sacred art. Size: 291 cm. x 207 cm. 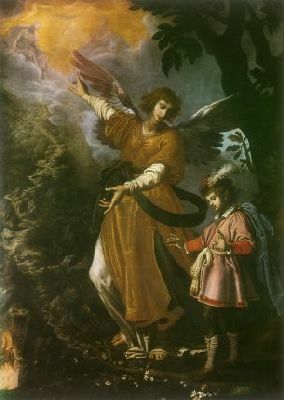 This work for the family’s oratory was probably commissioned by Father Pietro di Bernardo Bini to Bilivert, who also did a portrait of the priest in 1636. Size: 82 cm. x 58 cm. x 16 cm. 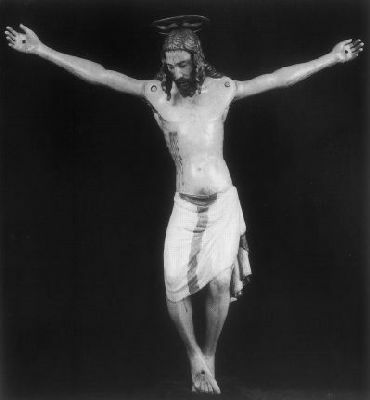 Many replicas and variations of this sculptural prototype are known in the Tuscan territory. 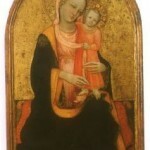 It is a depiction of the “Mater amabilis” in an affectionate attitude towards the Infant Jesus. Size: 180 cm. x 160 cm. 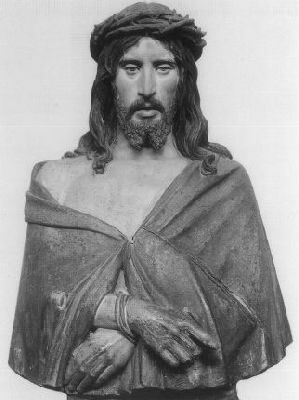 Of high artistic quality, this sculpture was probably made by a sculptor who was influenced by the style of Donatello, proposed in such examples as the crucifixes in Santa Croce and on Saint Anthony’s altar in the church of Sant’Antonio in Padua. Size: 103 cm. x 58 cm. 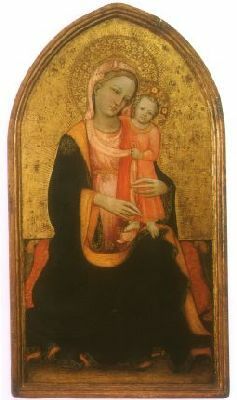 In the 14th century, the hieratic type of Virgin and Child was replaced by other, more “human” ones like, indeed, the Madonna of Humility, who, in an act of humility, is seated on the ground on a richly embroidered cushion. Size: 80 cm. x 85 cm. 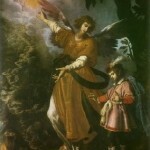 The work was probably commissioned by the Company of Santa Maria Imprunetana and of the Blessed Sacrament, which had their headquarters in the oratory until 1948. Size: 112 cm. x 40 cm. x 27 cm. 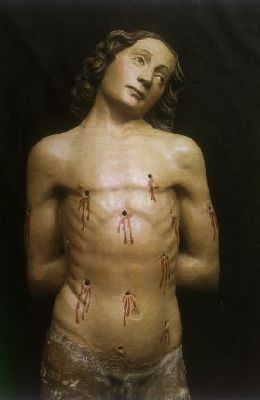 The prototype was inspired by the Saint Sebastian in carved marble by Benedetto da Maiano, Leonardo Del Tasso’s master, currently in the Florentine Archconfraternity of the Misericordia. Friday, Saturday and Sunday from 3 to 6 p.m.